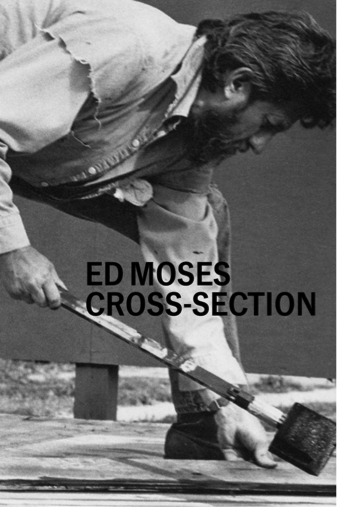 Ed Moses: Cross-Section traces the common thematic thread binding Moses’s prolific and continuous act of exploration through painting, from the 1960s to present. In so doing, the philosophical continuity of the artist’s disparate visual strategies are framed, strategies the artist has repeated and contradicted, as his investigation into the painted form has changed direction or reversed course over the past five decades. Featuring dynamic color plates of the work and scholarly essays by the curators, as well as the legendary art historian Barbara Rose, the catalogue provides cultural context for Moses’s mutational practice. This book was published on the occasion of the exhibition Ed Moses: Cross-Section, University Art Galleries, University of California, Irvine, October 11 to December 14, 2014. For information on the exhibition click here.